In a large bowl, beat sugar and crisco until smooth and creamy. Add egg, buttermilk, and vanilla, and beat until mixed. In a separate bowl, sift together baking powder, baking soda, and flour. Add a little of the flour mixture at a time to the sugar mixture stirring by hand until it is thick, smooth, and easy to roll out. Sprinkle wax paper with flour, and place 1/2 of the dough onto the wax paper. Flatten out and sprinkle with a touch more flour to keep from sticking. Roll dough thin. Cut with 2 inch cookie cutter. Repeat with remaining dough until all dough has been used. Bake on cookie sheet for 10-12 minutes at 375 degrees. 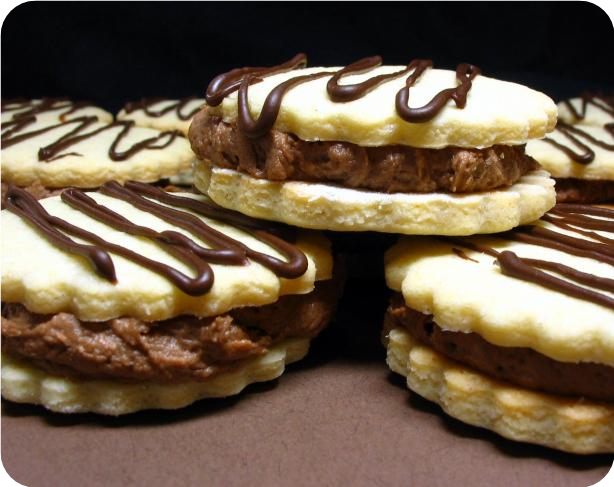 Can be eaten plain or made into sandwich cookies with Chocolate icing or Sweet Milk and Sugar icing.